With 37 points on Tuesday night, Alissa Pili became Alaska’s highest-scoring girls basketball player in Class 4A history. Pili, a 6-foot senior for the Dimond Lynx, entered the game at West High needing six points to match the previous record of 2,290, set in 1994 by Brit Jacobson of Chugiak. 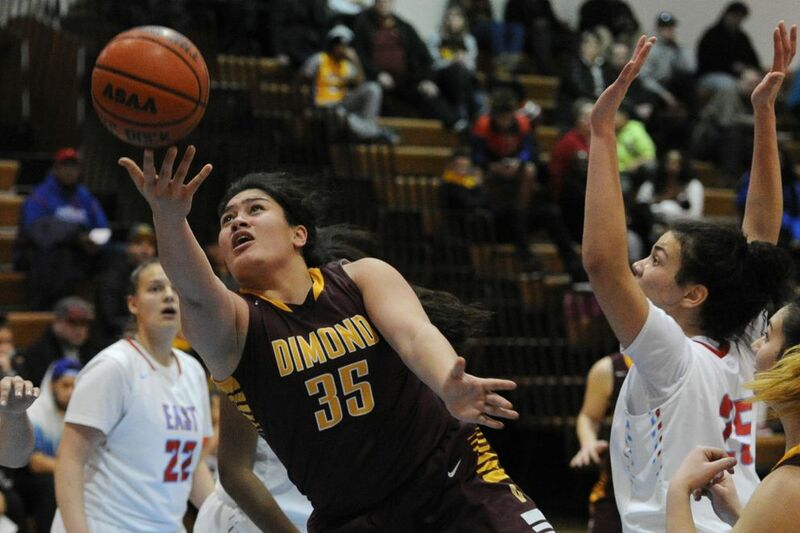 Her performance in Dimond’s 64-43 victory over West gives her 2,321 career points. She still has six regular-season games and potentially several postseason games to add to her total. Alaska’s all-time leading scorer is Mike Cronk, a former Northway star who racked up 3,564 points in four seasons from 1984-87. There is no official record-keeping group for Alaska high school sports. Van Williams, who writes a blog for the Alaska Sports Hall of Fame, said Pili’s record is considered a 4A record because there are no comprehensive girls basketball scoring records for lower classifications. Pili was widely recruited by college teams before signing a letter of intent with USC of the Pac-12 Conference.